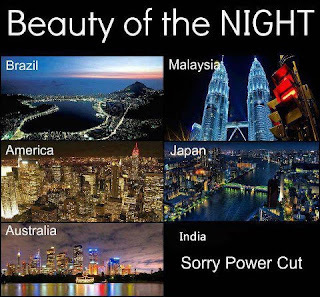 No matter how much beautiful at night every country is nothing is compared to the....ahem...dark beauty of India. By the way I am posting a new post after 2 months you know why? WE HAD A POWER CUT!!! I am posting a new post after 2 months you beauty guide know why? WE HAD A POWER CUT!! !